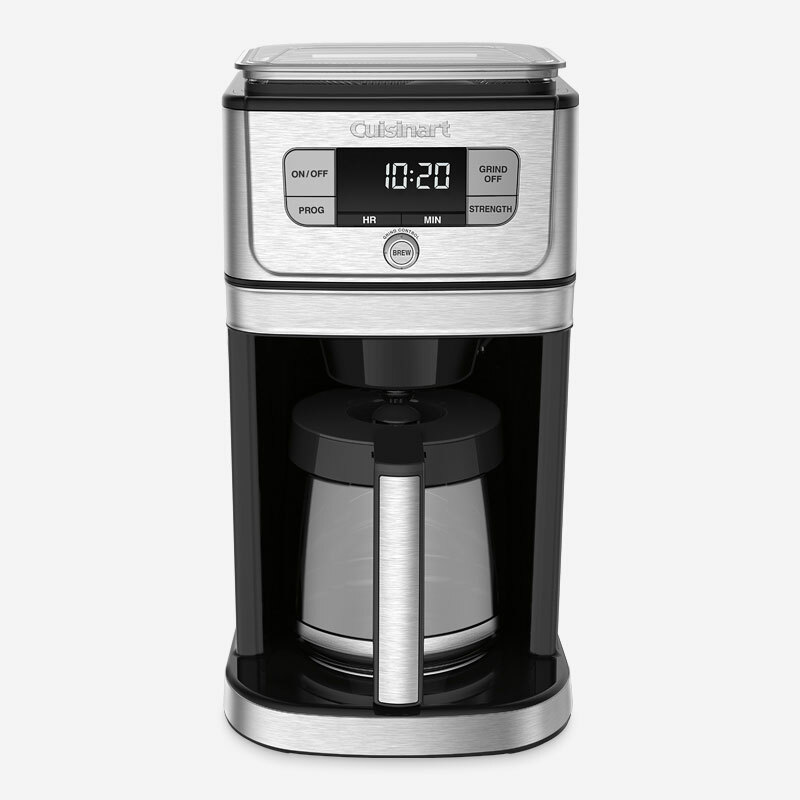 Cuisinart has once again revolutionized the specialty coffeemaker category with the Fully Automatic Burr Grind and Brew 12 Cup Coffeemaker. 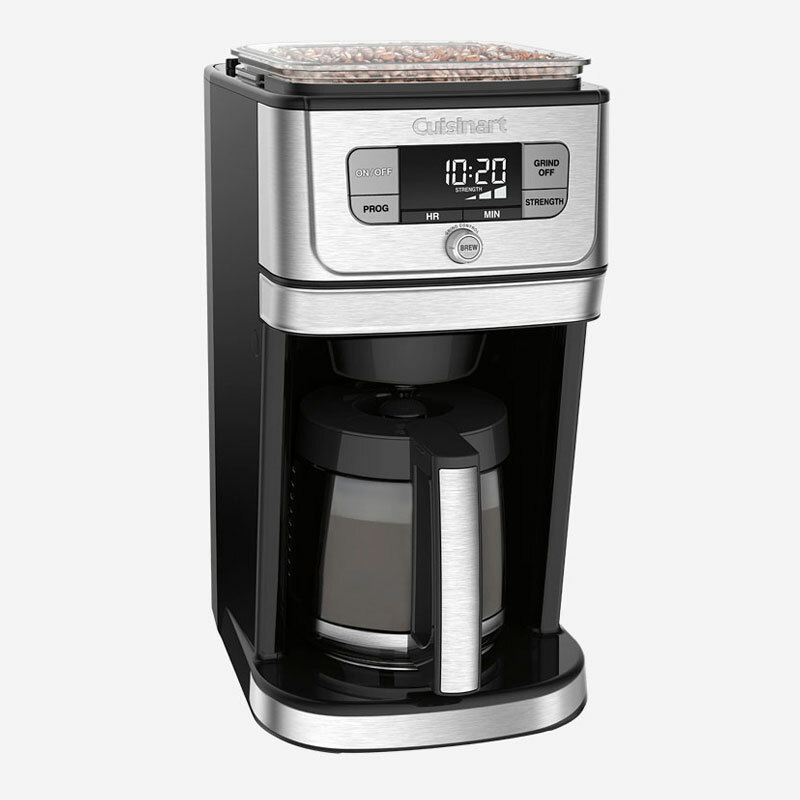 This coffeemaker features an integrated vertical burr mill grinder that automatically grinds whole beans just before coffee is brewed for the freshest flavour. 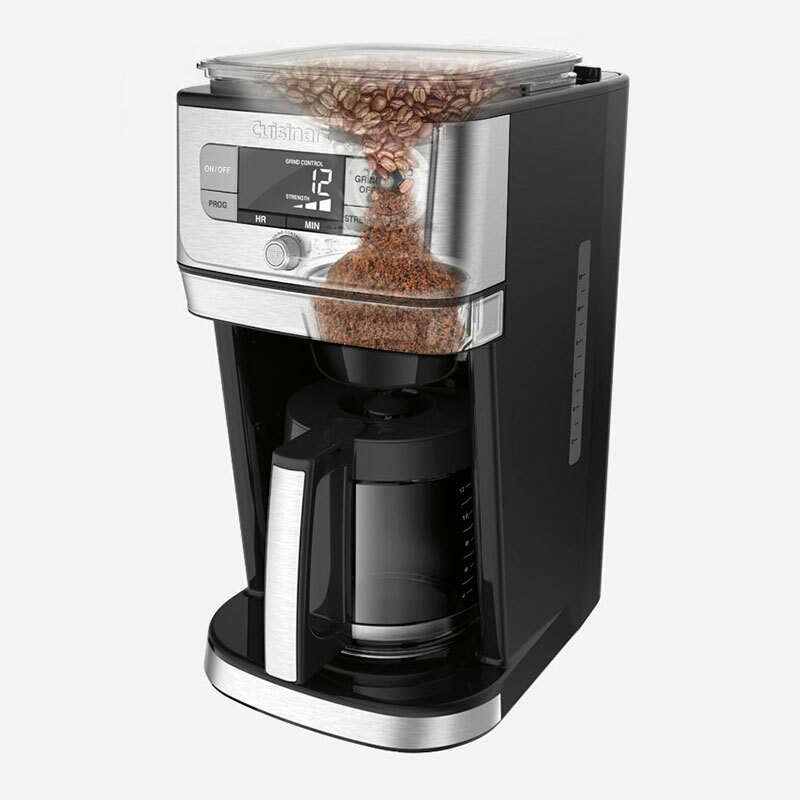 Auto rinse technology automatically self-cleans the coffee ground outlet and the Strength control feature lets you customize your coffee by choosing strong, medium or mild brew to suit your taste. 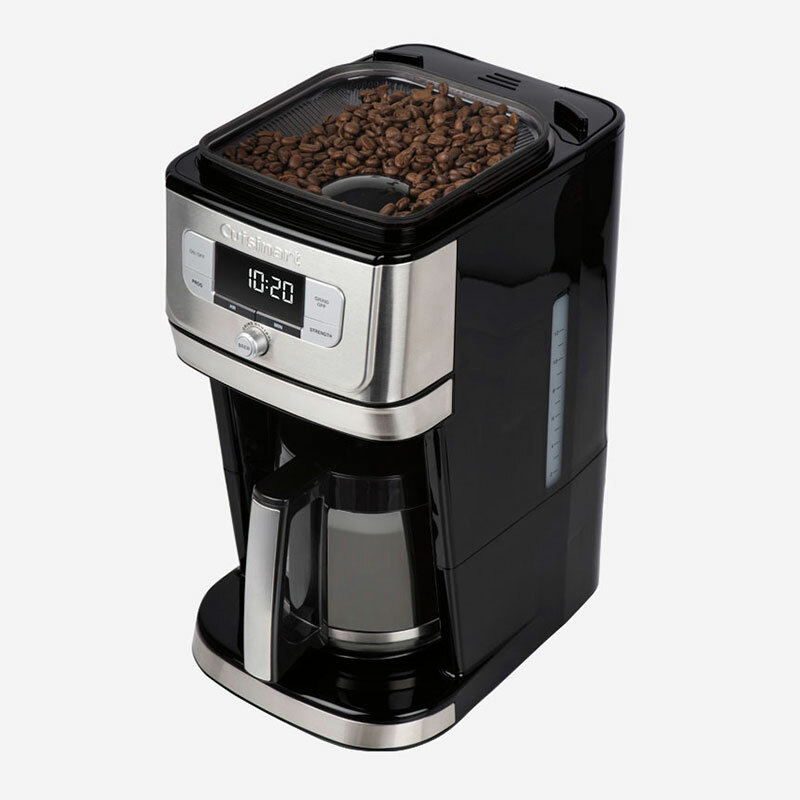 10.875" x 14.375" x 20.00"